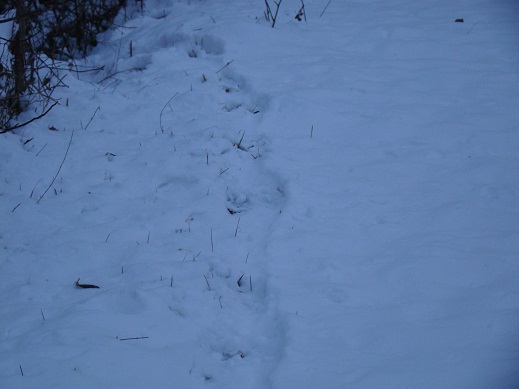 Four footprints and a giant dragging tail… beaver! These tracks come up from the creek all the way to our pond and there’s no evidence of a return trip. Rassa frassa….